The Biggest SWAG NIGHT event of the Meerut City is here !!! 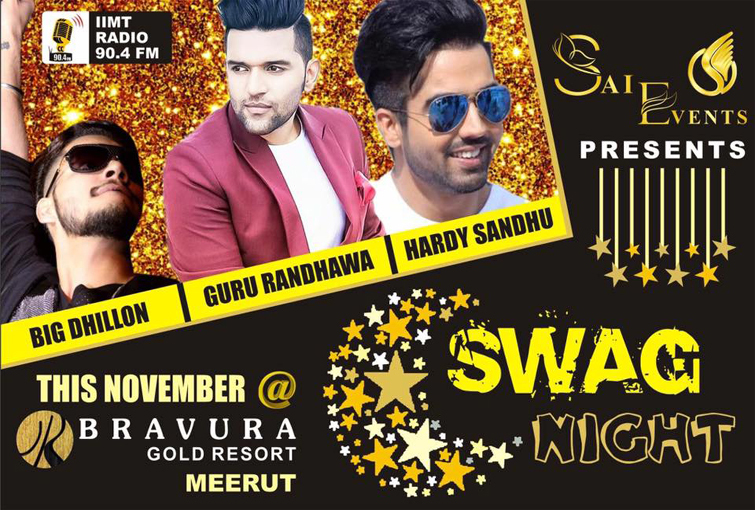 Sai Events presents SWAG NIGHT with mesmerizing singers Guru Randhawa, Harrdy Sandhu & BIG Dhillon at Bravura Gold Resort. So get ready to rock in Meerut City. * Only couples and families are allowed.